Thanks to 3D radar, induction loops, and advanced camera technology, speed cameras, and red light cameras can record images of drivers who go faster than the posted speed limit or run red lights. While you may know the locations of speed cameras and red light cameras in your local area, you probably have no idea where speed and red light cameras are positioned in other cities and countries. Should you happen to get a speeding ticket on your vacation, you could end up paying a large amount in fines. How, then, can you avoid getting speeding and red light violation tickets when you travel? The easiest way to avoid getting speeding tickets and red light violation tickets when you travel is to drive at the posted speed limit and stop at yellow traffic lights as well as red ones. However, in certain parts of the world, driving in this manner could create other problems. There are several smartphone apps that, among other things, can alert you to speed cameras, traffic congestion, red light cameras, accidents, and other hazards while you drive. Waze is probably the best known of these apps; users contribute real-time camera locations, traffic information and accident activity to the Waze maps. Waze is also a GPS navigator, which makes it doubly useful. Other popular speed and red light camera locator apps include Radardroid (for Android phones) and Radarbot (for iOS devices). Your GPS device may include a speed camera alert service. According to The New York Times, both Garmin and TomTom are including this service with several of their products. You can buy speed and red light camera detectors for approximately $50. These camera detectors alert you to nearby red light and speed cameras, usually by making a sound and flashing light. Several models are currently available. Popular manufacturers include Cobra, Cheetah, and GPS Angel. Before you buy a camera detector, be sure it is legal to use where you live as well as where you plan to travel. Some countries, such as Switzerland and Germany, prohibit the use of camera detectors. If you don't want to purchase a camera detector and your smartphone does not have an unlimited data plan, you can turn to the Internet for speed and red light camera information. Many cities, regions, and countries have created web pages that detail the locations of fixed and mobile cameras. For example, regional offices of the Polizia Stradale publish lists of Autovelox camera locations, including mobile camera locations, every two weeks. 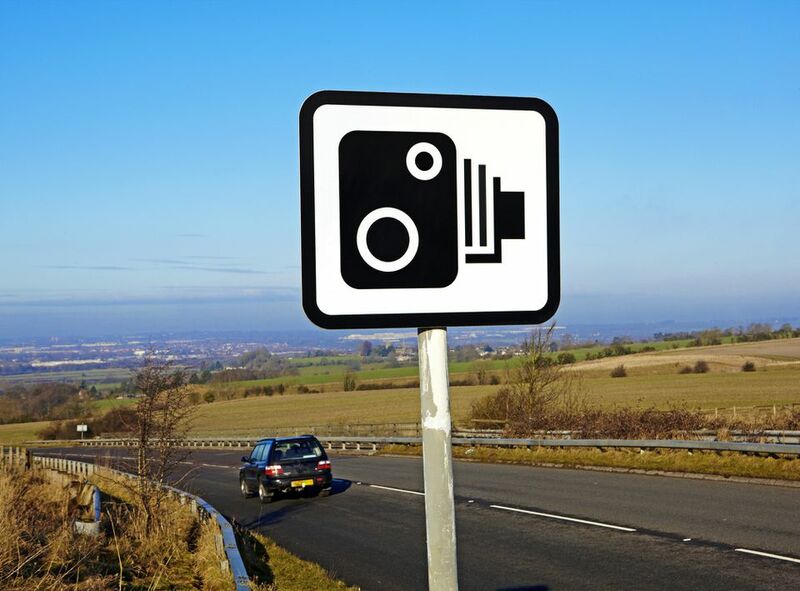 Drivers in the United Kingdom can take advantage of SpeedcamerasUK.com's online database of speed camera locations. SpeedcamerasUK.com also offers photographs and descriptions of the types of cameras commonly used in the UK so that drivers can identify speed cameras and slow down. If you are driving in the US or Canada, Photoenforced.com can help you search for red light cameras, speed cameras, and several other types of cameras by the city. Local governments often publish camera locations, too. It may seem unethical to use camera detectors or other ticket avoidance techniques, but the end result of this use is actually the outcome law enforcement officers hope to achieve. Drivers who know where speed and red light cameras are located will slow down and stop in order to avoid paying traffic fines, thus reducing traffic accidents and related deaths. If you avoid getting a ticket, you will also have the satisfaction of keeping your money in your bank account instead of transferring it to the coffers of a city or county somewhere else in the world.